The United States may broaden its ban on in-flight laptops and large electronics to cover some flights from European countries, a move that highlights the growing concern over the increased sophistication of terrorist bombmakers. DHS Deputy Secretary Elaine Duke is expected to fly to Brussels Wednesday to hammer out the details of a potential laptop ban with European Union officials. The meeting followed a call on Friday in which Secretary of Homeland Security John Kelly and several EU commissioners discussed the matter, a European Commission spokesman said. The expanded ban would come just as President Donald Trump and the White House grapple with a torrent of criticism that he inappropriately divulged sensitive intelligence from a U.S. partner about the laptop-related terror threat to Russian officials last week in the Oval Office. It would follow on directives from the United States and the United Kingdom in March banning laptops and other large electronic devices in the cabins of incoming flights to the United States and the United Kingdom from several Middle East destinations. The likely introduction of an expanded ban suggests that the threat is real, and not a backdoor effort to hamstring some Middle East airlines who U.S. carriers say compete unfairly for long-haul traffic. The widening of the ban to Europe “indicates to me the threat is very real and continues to be of great concern,” said Rick “Ozzie” Nelson, a former Navy helicopter pilot and national security expert with the Center for Strategic and International Studies. 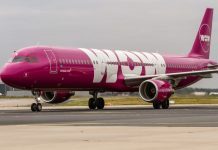 Depending on its scope, the broadened ban could affect tens of thousands of passengers on transatlantic flights, and will likely create headaches for business travelers and the airlines who rely on them for profitability. Around 40 percent of overseas travelers to the U.S. come from Europe. DHS spokesman David Lapan said no final decision had been reached to broaden the ban. At Wednesday’s meetings, officials aim to “assess any new threats and work towards a common approach to address them,” the EC spokesman said. In March, the Trump administration abruptly banned electronic devices larger than a cellphone from the cabins on direct flights from 10 airports in the Middle East and North Africa, citing terrorist threats. Soon after, the U.K. instituted a similar ban, though it targeted different airlines. Administration officials said the move was meant to prevent terrorists from sneaking a bomb into a flight cabin, where it’s easier to detonate and likely to have more lethal impact than a bomb stowed in the cargo hold. Large baggage destined for the hold is also typically more heavily screened than passenger baggage. “The terrorists recently have not liked to get the bomb out of their hand,” said Peter Goelz, who served as managing director of the National Transportation Safety Board during the Clinton administration. Trump shared elements of the highly classified intelligence about the laptop bomb threat that was gathered from a U.S. ally with Russian Foreign Minister Sergei Lavrov and Ambassador Sergey Kislyak during an Oval Office meeting last week, the Washington Post reported Monday and other news outlets confirmed. Trump himself defended his decision to share the intelligence with Russia in tweets Tuesday morning. Experts warned Trump’s unorthodox disclosures could have broad implications for intelligence sharing between America and its allies. Counterterrorism experts argued that including European countries in the ban makes sense because thousands of radicalized Europeans have traveled to Islamic State territory in Iraq and Syria in recent years. DHS officials have long been concerned some could eventually return to Europe with knowledge of how to build sophisticated explosive devices, and seek to plant one on a plane bound for the United States. In 2006, British police disrupted a plot to carry onboard explosives disguised as soft drinks onto flights from the United Kingdom to the United States and Canada. 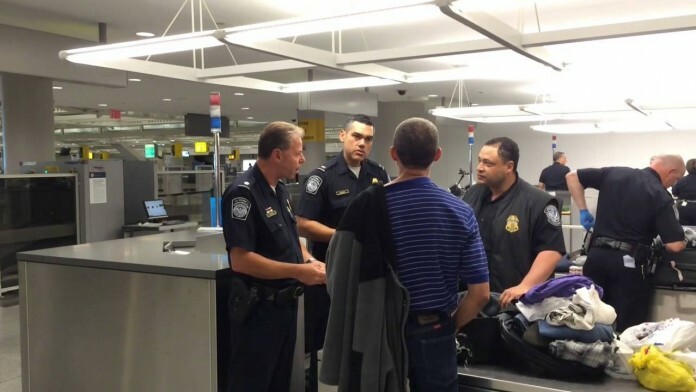 Officials have also been aware of Islamic State and al-Qaeda efforts to construct a bomb inside a laptop for years, and have consistently updated airport screening procedures to keep pace, Cohen said. But potential terrorists are constantly searching for new methods to construct bombs. The ban, according to some reports triggered by intelligence collected in a U.S. commando raid on an al Qaeda compound in Yemen in January, could indicate bombmakers have found a new explosive material that contains difficult-to-detect chemical compounds. DHS will need time to update current screening technologies and retrain bomb-sniffing dogs, at which point the ban could potentially be relaxed. “I’ve seen [bans] last six months, I’ve seen them last three months, but they aren’t permanent security protocols,” Cohen said. Meanwhile, some aviation experts warned the ban, if not properly implemented, could create a safety threat. Lithium ion batteries are found in all kinds of consumer electronic devices. With an expanded in-flight ban on such items, more of them would end up in the cargo holds of planes, where it’s difficult to prevent or extinguish a fire. Lithium batteries in electronics that were stored in a flight cabin’s overhead bin have combusted in the past. “The lithium ion batteries continue to be a challenge because if they’re poorly manufactured or there’s a manufacturing flaw they can cook off,” said Goelz, now a senior vice president at the lobbying firm O’Neill and Associates. The fire suppression system found in cargo holds likely won’t be effective at extinguishing a lithium ion battery fire, said Goelz, because such systems rely on depleting oxygen that feeds fires, but fires from lithium batteries feed off lithium. Due to this hazard, it’s illegal to ship cargo packages of just lithium ion batteries on passenger flights. In January 2016, the Federal Aviation Administration issued a statement on “the potential risk for a catastrophic hull loss” from transporting lithium batteries either in the main cabin or the hull of the airplane. It is not yet clear how long any ban on devices may last, but it is sure to dent profits of airlines, which count on business travelers as a main source of revenue. Government and industry are trying “to figure out what is the right response to this,” Christian Beckner, deputy director for George Washington’s Center for Cyber and Homeland Security.